Cygnet yarns are all machine washable and come in a wide range of colours at a great price. Cygnet DK is a beautiful yarn made with 100% wool that knits and wears well. 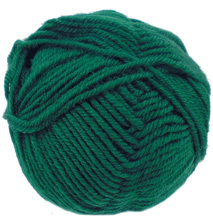 Truly Wool Rich 4 ply yarn has 75% wool and 25% nylon for added strength - perfect for fine garments and sock knitting. 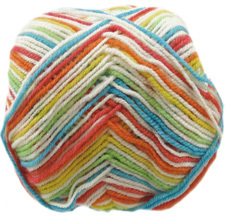 Kiddies Couture DK Prints is a self-striping yarn that is soft to the touch and ideal for baby and toddler knits with a quality blend of 75% acrylic and 25% nylon. Cygnet Truly Wool Rich 4 Ply Sock Yarn features a 75% pure new wool and 25% polyamide mix - making it makes it hard wearing and soft sock knitting yarn. 100g. 420m. 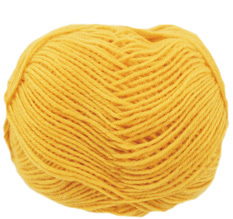 Cygnet 4 ply yarn has a wool blend of 75% wool and 25% nylon blend and is available in a wide range of solid colours. Perfect as a sock yarn too.